This Diwali season consider giving a timeless look with Anarkali fits which are crafted with using best fabric and particular embroidery themes and ribbons. We show you the five different styles of Anarkali Salwar Suits which you will probably see for the first time. 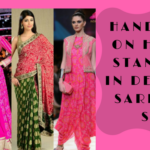 Stores in India are selling Anarkali salwar kameez which can be ideal for weddings, festivals and night events but these particular patterns are perfect for all occasions so let’s take a quick overview of all five designs. These types of long Pishwas dresses have been worn by Afghani woman on a daily basis, from that the Pakistani designers have invented new style which can be seen here in the images. An attractive ensemble, unique stitching style and the new style of kalis make this outfit the hottest trend among all fancy girls. Just write down Anarkali Pishwas suits in Google, and you will see plenty of styles available on different websites where you can shop online Anarkalisalwar suits. White and blue is just a shade that’s both refined and trendy. As such superb frock with half rounded border is the crucial choice to dress in for a function or a gathering. This is the pattern that separates you from the crowd because of the mind-blowing embroidery and unusual cut. If you haven’t bought such fabulous Anarkali, then you will miss the chance to look outstanding on this Diwali. 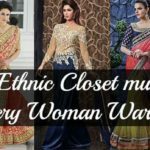 In the event the notion of the conventional ensemble is restricted by a salwar kameez or a saree it is all about time that you chose single colored long Anarkali .For example for a marriage or for a home celebration it is essential for any girl to style according to the situation, at that time. This type of metallic yellow colored long Anarkali will be the best outfit for you. This dress offers the full elegance to the wearer, and the minimal embroidery work of the couture adds extra stylishness to the overall look. There are multiple latest designs in Salwar Kameez that you can have a look other Anarkali suits. You have seen many celebrities in Anarkali suits, but you can’t match with their style because each Anarkali has been crafted as per the body type of particular person. However, Anushka Sharma’s off-white colored Anarkali with the golden patch will be well suited on any lady that is the reason we have added this suit in our list. You will find out similar Anarkali at any online store so order it and wear with similar golden colored sandals and be the flamboyant girl at any function. You usually have seen Vidhya Balan in saree, but sometimes she prefers to land in sober style. For that look, she trusts a simple Anarkali suit with three different colors. If you are going to attend any formal function in upcoming days, then you must try this trick to see how people will appreciate your appearance. 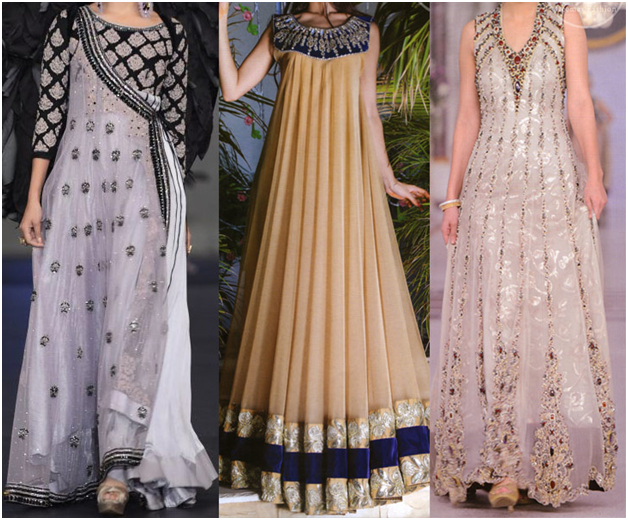 This festival season, shop these types of Anarkali suits and come out from the ambiguity of what to wear and what not. 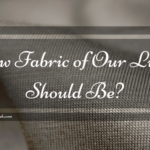 How Fabric of Our Lives Should Be?